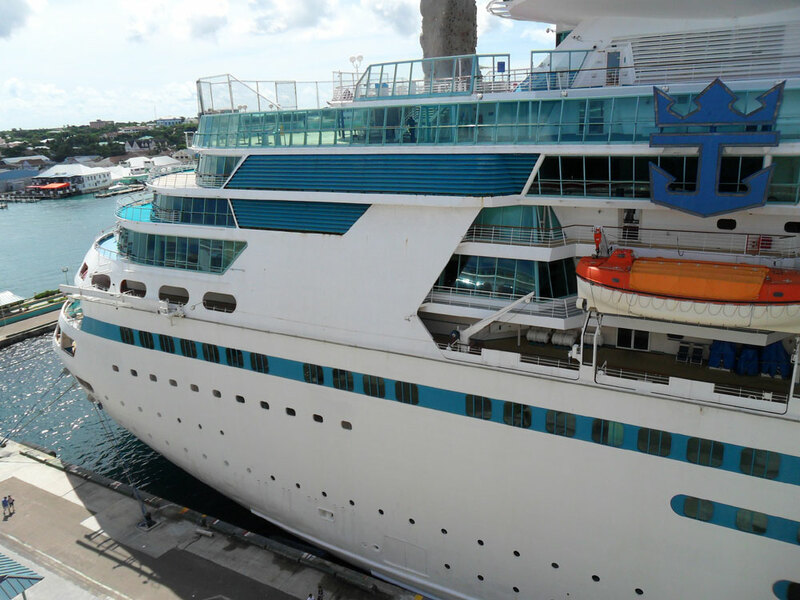 Majesty of the Seas which is operated by Royal Caribbean has been taken out of service while it undergoes a major dry dock at the Grand Bahama shipyard in Freeport, Bahamas. As soon as the Sovereign class vessel arrives at Freeport it will enter the dry dock to begin receiving new features and upgrades. The vessel will be getting the new VOOM internet enhancements which Cruise Hive reported on just days ago. All guests will be able to enjoy super fast connections and less downtime. The new Splashaway Bay will be added on the open deck, an area where kids take center stage. The Splashaway Bay aqua park for kids will have water cannons, winding slides and a gigantic drench bucket. Adults will not miss out on the upgrades with a revamped pool area, expanded bar and family-friendly Jacuzzis. The open deck will also take hold of a brand new outdoor movie screen where guests can watch movies and special events. Majesty of the Seas will get a renovated Spa and Casino along with a ton of internal and external upgrades. As usual, when a ship gets a refurbishment it includes new paint, carpets, TV’s, bedding, decor and a whole lot more. Each area of the ship will be improved in some kind of way. The first time cruiser will be able to enjoy all the new features onboard the 73,940 ton Majesty of the Seas will be from May 16. The ship will begin its new itinerary out of Port Canaveral, Florida. The ship will sail 3- and 4-night cruises to the Bahamas including calls at Royal Caribbean’s private island CoCoCay. In 2016 there are 6 Royal Caribbean ships getting upgrades including the return of Empress of the Seas.